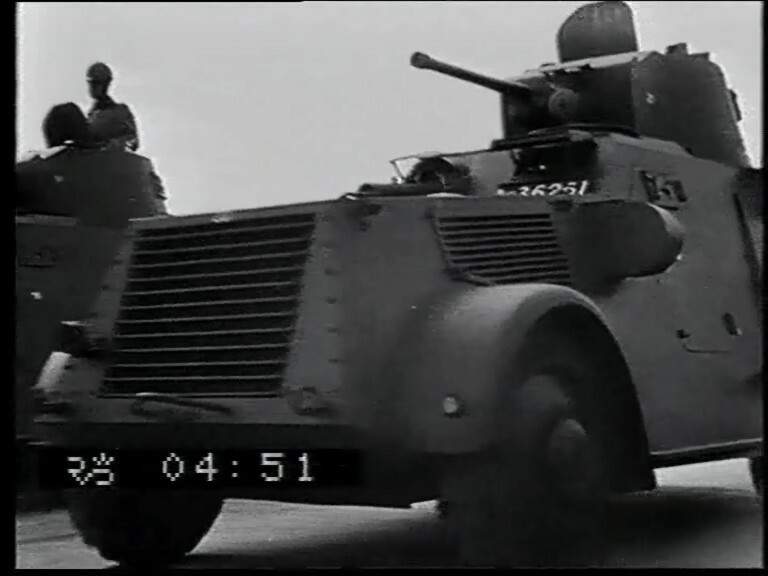 Landsverk L180 - M38 Armoured Car: films 1938-1940 and later. Commemoration of the German attack on the Ypenburg Airfield on May 10th 1940. The 1st Armoured Car Squadron - 1 E. Paw. - was heavily engaged in the battle on and round the airfield. Nine men were awarded a medal for their brave actions. 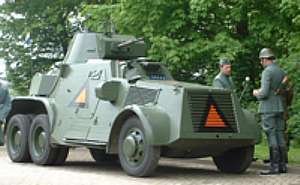 The M38 armoured car presented by the Irish Army to the Dutch Cavalry in 1982 was present at the commemoration.